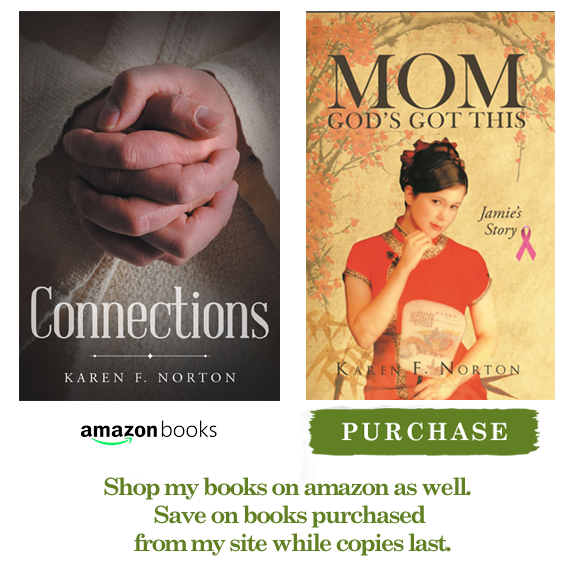 Karen F. Norton is a Christian author known for her recent published works “Mom, God’s Got This” and “Connections”. Karen is also a wife, mother, grandmother, and ordained minister who served on a church staff for over thirty years. She is a preacher, teacher, and speaker who is in love with the Lord and has an insatiable appetite for God’s Word. 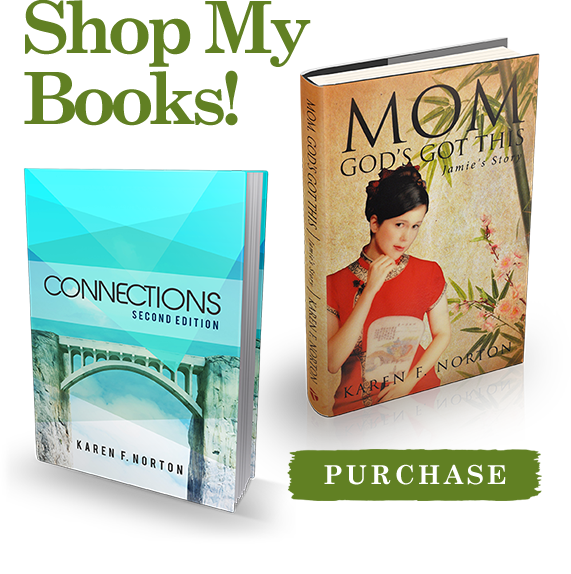 Karen’s books teach people to be self-feeders of God’s Word. You will learn God’s grace is sufficient in all of life’s difficulties, that the Bible is true for us today, and that God is faithful to His Word. Does reading the entire Bible seem overwhelming? It doesn’t have to be. You can learn how to read and understand the Bible for yourself! 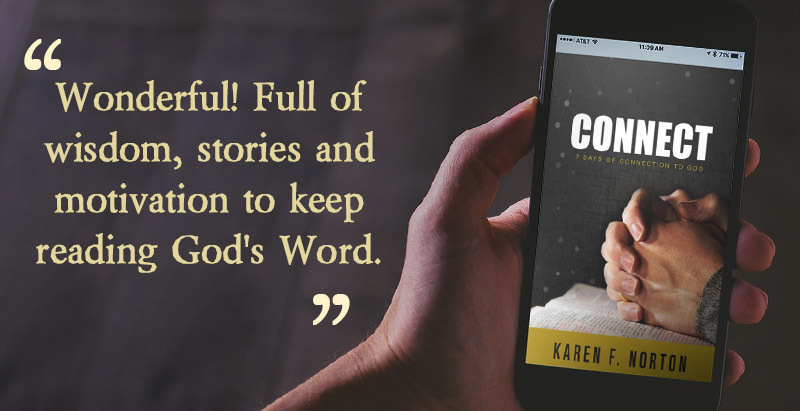 As a daily devotional, “Connections” highlights a portion of each day’s Scripture reading and bridges the gap between the Old and New Testament, bringing additional insight and inspiration. This new edition includes the Bible references for each day’s reading, so you may use it alongside your current Bible without having to purchase another. Step into the very private heart of a mother and her daughter. “Mom, God’s Got This” is Jamie’s story—a story of courage and obedience, faith and doubt, heartbreak and disappointment, inner struggles and victories. A young East Texas girl who followed God’s call to the other side of the world, Jamie loved the lost and those who have never heard the good news of Jesus Christ. Jamie’s story will encourage and inspire young adults to follow and obey God even when they don’t have all the answers. You can order my books right here on my website. 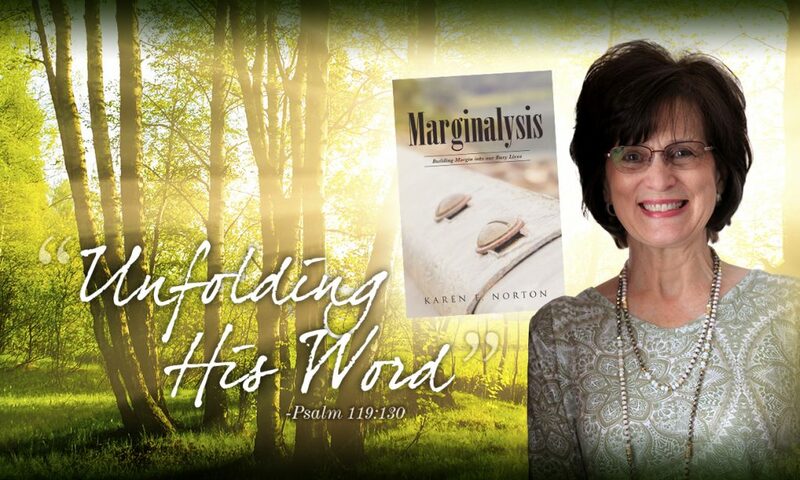 Karen is not only a Christian author but a Christian speaker as well. A seasoned Bible teacher, Karen is extremely passionate about three areas of the Christian walk in particular. The first is assisting believers in developing a strong personal and growing relationship with Jesus Christ. The second area is marriage and family. The third area near and dear to Karen’s heart is helping those who have lost loved ones to death safely navigate through their journey of grief. Read more to learn about Karen and her heart behind her ministry and how she may be able to serve you. Get the latest news & updates and encouragement from God’s Word. My new book! Only $12.95. Click Amazon or B&N to purchase now. If you’re a super-busy person, Marginalysis is for you. If you’re a super-busy Christian, well that’s even better! I wrote these eighty-two pages with you in mind. It’s true. We are all so busy (at least we think we are) that personal one-on-one time with our Creator God is squeezed right off the page, and a hundred time-eating less important activities prevail. How does this happen? 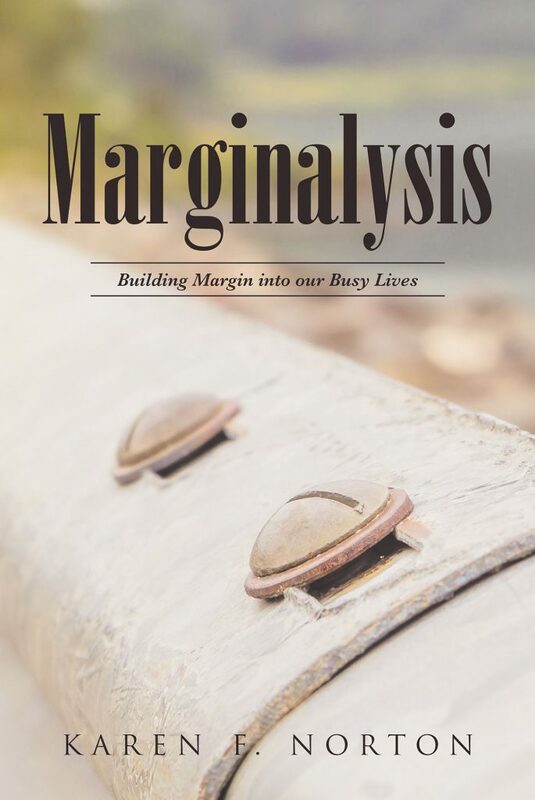 Marginalysis can help you reestablish and maintain healthy margins in your day, add mental clarity, reduce stress, and be more productive. Get my free mini ebook devotional, Connect, and get to know God better by knowing the Bible better.